When you pay someone to come and clean your house, you might thing the person you hired is joking when they say that they will vacuum, dust and mop, but, they don’t do windows. As strange as it sounds, there is some truth to that statement. Cleaning windows is different than cleaning the interior of a house or office. If you want your windows professionally cleaned, it is best to hire a window cleaning service. Great demand exists for professional window cleaning services. We are not talking about someone who comes up to your car while you are stopped at a traffic signal and offers to clean your windshield for a buck or two. While the guy with the spray bottle and dirty rag is exercising his entrepreneurial spirit, he is not a professional window washer. If you are looking for a good opportunity to start your own business, a window cleaning service might just be the way to go. All you really need, in the way of equipment, are a few squeegees, some cleaning solution and a ladder. You will have to be on your feet for an extended period of time, so you will need some comfortable shoes. Finally, it helps if you are young, energetic and have an outgoing personality. 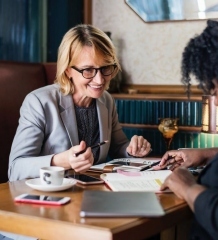 After getting any necessary licensing or documentation required by your town or local municipality, your next step is to figure out how to get paying customers. Typically, store owners with big glass windows are good customers as are many public and private building owners that have many windows that must be kept clean. Your marketing plan should have a multi-channel approach. You could hand out fliers and business cards to all of the businesses in the area. Asking your friends and family to recommend you to their friends and family will help you establish a list of regular clients. Make use of the internet, and if you do not have one, get a website where you can advertise your services. Even if you do not have a website, social media sites like Facebook and email marketing, can be an effective way of finding new customers. While you may only have a few regular accounts when you first start out, over time, you can build up your window cleaning business. Always do a good job and word will get around that you are the person to call when someone or some business needs their windows cleaned. Pricing is an important part of building up a nice clientele. Usually, window washing companies charge by the number of windows they must clean and the square footage of those windows. Try to keep your prices as low as possible when you are first starting out so you can compete with larger, more established, window washing companies. 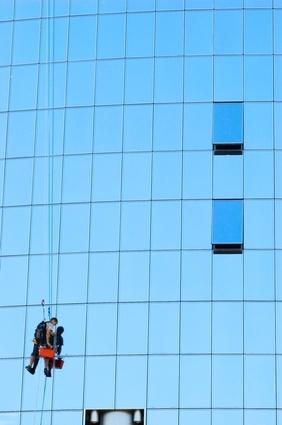 While cleaning the windows on the outside of a high-rise building might be beyond your capabilities, you should be willing and able to do small jobs that might only pay $10 every month as well as large jobs that might take over an hour to complete. Your goal is to have more business than you can handle. Once you reach such a point, you can hire some helpers. Every successful business, including the window washing business, starts out small, but with hard work and a few breaks, can grow into a much larger and more profitable enterprise. James McQuay is a professional window cleaner working with Canada Wide Window Cleaning Inc. North York Toronto, ON? (416) 789-7777 to provide the highest quality service to all customers no matter the size.